It hasn't been easy being a Fiat fan in the U.S. these last, oh, 20 or 30 years. Sneers of "Fix It Again, Tony!" due to rusty and unreliable cars were followed by Fiat fleeing the U.S. market in 1983 with its tail tucked between its legs. But now, with the imminent debut of the 2011 Fiat 500 late this year, the company wants to reward all those diehard Fiat owners. They, and only they, will be offered the chance to reserve one of 500 'Prima Edizione' models--and even select the model build number. Fiat made the announcement this weekend at the annual convention of Club Fiat-Lancia Unlimited--known as the "Fiat Freakout," perhaps for the owners' experiences over the years with their beloved but often unpredictable cars?--held in Asheville, North Carolina. The surprise offer came from Laura Soave, head of Fiat North America, who showed up unexpectedly at the annual dinner and told the assembled faithful about the opportunity. Together, the attendees had brought more than 100 classic Fiat, Alfa Romeo, and Lancia cars. “For over a quarter of a century, the members of this Club have kept the spirit of the Fiat and Lancia brands alive in North America through their unique and passionate support for true Italian design," said Soave. 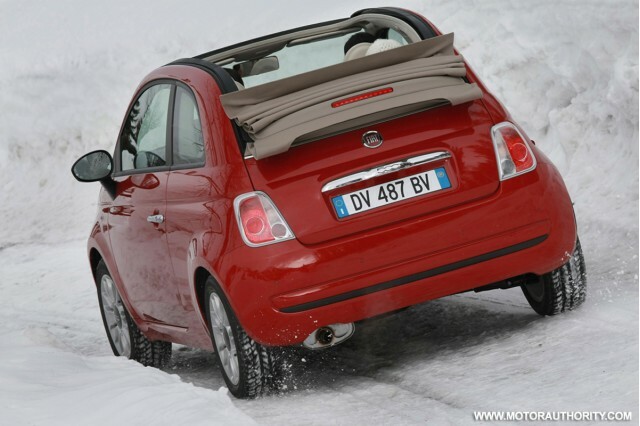 Three colors will be offered on the 2011 Fiat 500 Prima Edizione: rosso (red), bianco (white), and grigio (gray). All will have a manual transmission paired to the 1.4-liter engine, as well as the production-order badge and even sequential VIN numbers. If you're a Fiat owner, keep your eyes out for the special website where you can reserve the car: CiaoFiat.com.